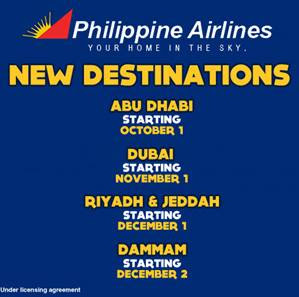 Pal Promo: We are looking forward to flying you and your loved ones to these Middle East cities this 2013! Mind the months that we will be launching these new flight schedules. So make sure you check our Facebook pages or keep visiting this site for more updates!